Arthritis pain can be uncomfortable for a lot of people as it causes irritation and discomfort in your joints. Caused by inflammation, arthritis can set in at different parts of your body. Each patient’s case of arthritis is different, so the more details you can provide about your condition, the better. With over 100 forms of arthritis, causes of arthritis stem from any number of problems. If you’re finding problems like pain, stiffness, and redness in certain parts of your body it may be time to consult the expertise of one of our highly skilled chiropractors around the Connecticut area. Treatment of arthritis will vary upon the type of arthritis you are diagnosed with, where it’s located, and how severe the pain is. 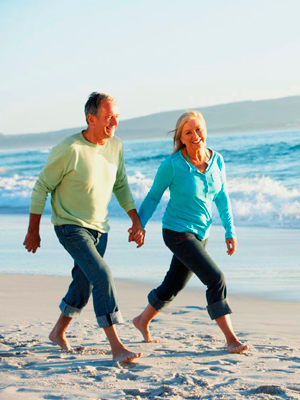 Discuss with a doctor a treatment plan that is best suited to your specific situation. Different methods of treatment may be used such as manipulation, physical therapy, massage therapy, or refer to other medical providers. How often are your symptoms occurring? And many others so pay close attention to any bouts of pain or discomfort. 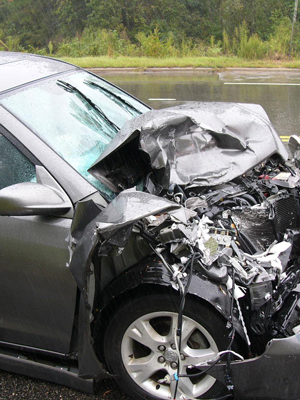 Automobile related injuries can be difficult for some people to recover from. Injuries range from minor stiffness to broken bones to more serious medical injuries that may need to be evaluated by a chiropractor. A treatment plan for your injury will depend on the involvement and severity. After your consultation with a doctor, different methods of treatment may be suggested for your auto injury. Some of our more basic treatments like physical therapy or hot/cold packs are suggested. If your injuries are more serious, our physicians will walk you through the best treatment plan for you. For some, your treatments may require multiple visits. We look forward to helping ease your pain over time and make your recovery as comfortable and easy as possible. Our helpful and friendly staff are available at several locations to begin the process of healing. For those suffering from back pain, our trained staff of chiropractic physicians are waiting to help you relieve some of the strain in your back. 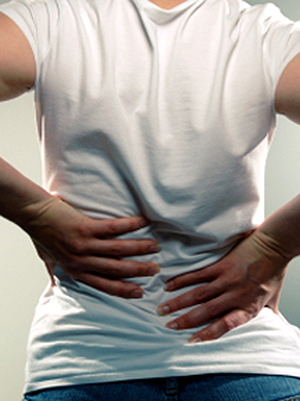 Back pain should really be checked out as soon as possible, because it can lead to even worse pain and discomfort. Some patients recover on their own from a back pain case; other cases may grow into chronic back pain. Chronic back pain can be difficult to combat so taking care of the situation before it turns into something more serious is our goal! If you require a more invasive treatment, we will refer you to the appropriate physician or facility for the best treatment. Discuss with your physician during your appointment what method of treatment you’re most comfortable with and what you feel would work best for your individual case of back pain. We’re here to put you at ease and make sure to suit your needs as much as possible. Carpal tunnel syndrome is an uncomfortable, painful issue for many people everyday. Affecting the wrist thumb, index, and middle fingers it causes numbness, pain and weakness in the hand. Are you one of the unlucky ones suffering from it? In order to diagnose carpal tunnel, doctors might choose one or a few different options like physical tests and other in-depth medical tests to help show any abnormalities or rule out other issues. In order to fight carpal tunnel, your doctor may suggest rest and isolation of your wrist along with an ice pack for at home or in the car. Small adjustments to your every day life may be necessary like lifting the height of your computer chair or getting a more supportive mouse pad or keyboard to use. Depending on the severity of the symptoms, different treatments may be suggested so ask your doctor which is going to work best for you! Headaches are an annoying problem for everyone. For some, they are very short and are gone within a minute or two. Others, are not as lucky and they can last a long time. More serious headaches can cause severe pain and discomfort and can really put a strain on your life. Dull, achy tension headaches can be brought on by stress, strain, and lack of sleep for instance. Throbbing, severe migraines can also bring on nausea, vomiting, and sensitivity. Cluster headaches are headaches that occur for weeks at a time. 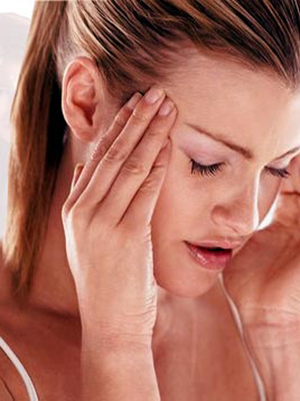 Chronic headaches are when headaches occur more than two weeks out of the month. Help your doctor by explaining exactly where the pain is occurring in your head and the type of pain you’re in whether its dull or sharp. Knee and leg pain is uncomfortable for everyone. For some it’s caused by a strain and the soreness goes away within a day or two. But for sharp or more acute leg pain lasting longer than a couple of days, chiropractic attention should be looked into. Where is the pain occurring? The more information you can provide our chiropractic physician during your appointment, the better. Leg pain can be brought on by a lot of different things, and a consultation with one of our doctors is the first step towards getting rid of your pain for good! Involuntary muscle spasms often happen randomly and are over quickly, but can be a real nuisance for those with more chronic symptoms. How often do the spasms occur? How long have the spasms been going on? How long does each spasm last? What area(s) of the body are the spasms occurring? Have you been sick or taken any types of medication recently? Most of us have experienced some stiffness or soreness in our neck after falling asleep wrong or being cramped up in a tight space for a while. If you’re suffering from more severe symptoms, though, we’re here to help! A physician will probably suggest rest or some type of therapy to get you back to feeling yourself. Treatments for neck pain may require several visits and our staff will make every attempt to make you feel at home at any of our several locations! Pinched nerves are fairly common and typically will go away on their own or with a small amount of at home relief. If your pain is becoming more frequent and unbearable, you should book an appointment with a chiropractic physician that’s familiar with your pinched nerve. Treatments for pinched nerves are all aimed at trying to help relieve pain, numbness, spasms, and any other issues brought on by the aching nerve. Post-surgical pain is common for everyone, but unbearable for some. Pain after surgery is pretty common, because surgery is actually considered a trauma on your body and it can be really tough when you first get home to fight through it. Suffering from pain in your lower back? Let one of our chiropractic physicians take a look at you. It’s possible you may be suffering from Sciatica which causes inflammation and pain in your sciatic nerve (runs from your spinal cord to your thigh). Sciatica can be caused by different conditions, syndromes, or from a herniated disc. Sciatica can cause pain not just in your back put also in different parts of your hip, legs, or feet. Each person’s sciatica symptoms run differently and your case may cause you pain in only one or all of those places so pay close attention to any type of pain you notice and let our doctors know! 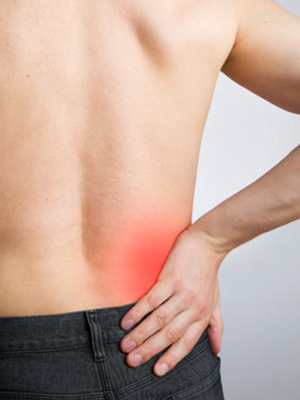 Typically affecting people in between the ages of 30-65, it can be brought on by accident or injury, rapid weight gain or pregnancy since it causes more pressure on your lower back. Lifestyle behaviors like daily sitting on an awkward object in your pocket or spending much of your day standing, have been known to bring on pain and symptoms of sciatica. Remember being pulled aside at some point in grade school to have your back looked at? That was to check for scoliosis which is a condition common more in females than in males and can affect anyone from infants to adults. Curves in your spine are normal, but scoliosis is when there is an abnormal curve in your spine. 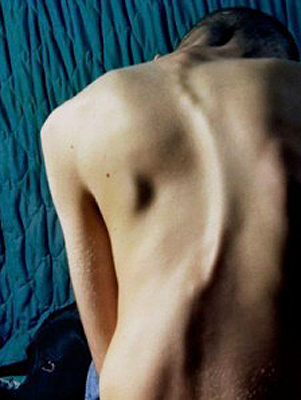 In most cases of scoliosis, there is no real known cause. In limited cases, however, it has been linked to genetics, deformities, or other diseases or conditions present in the patient. Pretty common in children, because their bodies are still developing, kids are usually checked for scoliosis at some point in school. Treatment for scoliosis usually involves either observation, a brace, or surgery to correct the issue. To figure out how significant your scoliosis is, make an appointment to help determine what the best method of treatment should be. Herniation- disc wedging narrows nerve openings. Obvious symptoms may not be present. Protrusion- like blister, the disc bulges where it is the weakest, causing nerve pressure. Prolapse- with the cushioning and separating compromised by rupture, movement is painful. Chiropractic has been a natural solution helping millions with a variety of disc problems. Sometimes a condition requires Spinal Decompression Therapy. 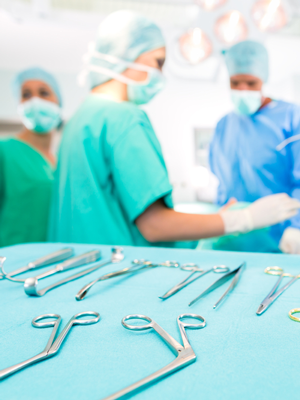 Is surgery ever recommended for a slipped disc? Sports injuries are extremely common, especially amongst kids, teenagers, and young adults. Some aren’t as bad, but some injuries can cause serious damage or problems if you don’t seek the right help when they happen. A Sports Injury can be devastating for most athletes as it often means rehabilitation and time off from the sport. Our chiropractic physicians are skilled in getting you back in shape to be able to perform at your optimum level again. Injuries are becoming serious as the popularity in sports grows. A sports injury is very common in sports like football and basketball, but there is a rise in injuries amongst runners, cyclists, and other sports that require a high physical demand on specific parts of the body. Feet injuries are very common amongst soccer players and athletes with a heavy demand on their feet, shins, and upward into their knees and hips. Pay close attention to your sports injury and try to relieve some of the pain at home with rest, elevation in some cases, and a hot/cold compress. If symptoms continue, it may be time to see our doctor. Chiropractic wellness care involves preventing pain or discomfort with certain measures and treatments. Wellness care is becoming more popular with people trying to avoid life-changing conditions like heart disease, cancer, diabetes, and arthritis. Don’t wait until it’s too late… take the steps to keep your body as healthy as possible. If you’re finding yourself relying heavily on medications to alleviate the pain or that your posture has been getting worse from long hours of sitting or standing, you should schedule an appointment with a chiropractic physician to discuss any wellness care that may be necessary in your situation. 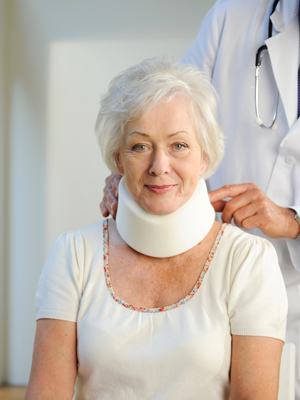 Most known to happen during a car accident, whiplash is a neck injury that happens from the sudden movement of your neck and head when your vehicle is hit. Recovery can be as quick as a couple of days or weeks but some severe cases may require a more in-depth method of treatment. In some cases, the strain and soreness in your neck may turn into chronic pain that can be very tough to deal with and chiropractic care should be considered. Whiplash causes physical stress like headaches, dizziness, fatigue, and blurred vision on top of the stiffness and soreness in your neck. It can also be blamed for trouble sleeping, irritability, and ringing in the ears. You know it’s time to see a doctor if you start noticing any pain, tingling, or numbness in your shoulder and arm or if it becomes painfully difficult to move your head. Our locations throughout Connecticut provide care for anyone suffering from work related injuries. For those having difficulties making it back to work or performing at 100% when you’re there, our chiropractic physicians will make sure your employer is aware of your medical status and your full potential at work. Injuries to your body from repetitive behaviors or heavy lifting at work can be examined by one of our trained chiropractic physicians to figure out how severe your work related injury may be and the best method of treatment to help take care of the pain. For some, therapy may be all you need, but in more severe cases the doctor may discuss with you other options. Call us at any of our nine convenient locations if you have any of the above ailments.